Posted April 3, 2019 by Shawn Hofkes & filed under Uncategorized. It doesn’t matter if you have lost just one tooth or multiple teeth or if you’re currently looking to replace all of your teeth. What matters is that you are dealing with a situation that can feel stressful, that offers you what may feel like an overwhelming number of solutions, and that you are probably well aware is essential for your oral health protection. 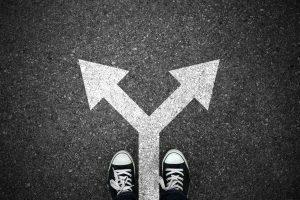 Unfortunately, though you may recognize the time to make a decision is very soon, you may feel that you’re trapped in a world of indecision. Which way to turn, which treatment to select, and what next, you wonder? Our Cerritos, CA team reminds you that we can help you simplify the process, so it’s an enjoyable one! First, to bring yourself back to your essential foundation from which you make choices, we encourage you to remind yourself that replacing your teeth is absolutely necessary. If you don’t replace them, then you’ll be without your teeth. If you’re without some or all of your teeth, you can deal with consequences that negatively impact daily eating, smiling, confidence, oral health, and more. So, remember, a decision is going to be necessary and for good reason! Now, it’s time to spend just a little time visualizing yourself … only well into the future. You can begin by imagining your life with each one of the tooth replacements available to you, one by one. Do your best to conjure up a normal day in your life, as you go through your usual routine. Which treatment seems to work best for you and your needs? Visualization is often a powerful tool that can help you feel excited about your choice for your smile! Before we say anything else, we remind you that it’s very important to take a moment to ask yourself whether you have questions that you’d like to ask us. If there are any remaining, please bring them to us, so you can feel fully informed (a lack of just one bit of information is often what leads to indecision). Then, of course, ask yourself how you really feel. Which treatment do you really want for yourself? Be honest about your budget: How much can you afford, how much are you comfortable spending, etc.? Then, go from there! Remember, we’re here to guide you. When you feel that you are without the information and know-how to make a final decision for your tooth replacement treatment, don’t fret! Instead, allow yourself to enjoy the experience by seeking guidance from our team! To schedule an appointment or consultation with Dr. Hofkes, contact us today by calling 562-584-4082. We proudly welcome patients of all ages from Cerritos, CA, and all surrounding communities.